Comfort food if ever there was. A good pie starts with homemade pastry and finishes with chunky fillings. These are all individual pies. Ask about take-home-to-bake versions too. Jason. 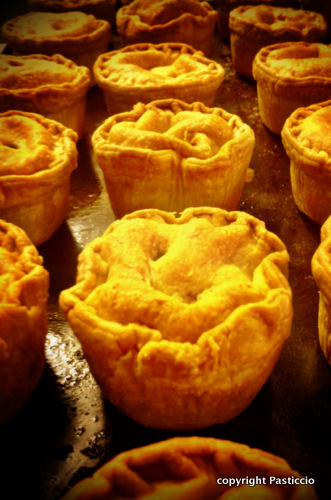 Called kickass pies, they rule inner city gourmet pie territory. 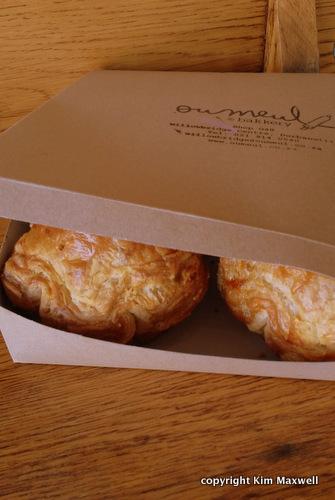 Enclosed in boiled all-butter pastry, there is one flavour daily, with pies starting from R40. Exotic fillings include apricot, lamb and toasted almond; mushroom and Emmenthal; osso bucco; duck and cherry, or lobster mac and cheese. They’ve even made a luxe wagyu beef, truffle, potato and shitake mushroom pie. Bree Street, Cape Town. 021-876-4788. Martins Bakery. Hidden in suburbia since 1983, John Martin’s tasty pies use homemade flaky or shortcrust pastry. The flaky chicken and mushroom pie skimps on mushrooms but is big on herby chicken, while mild peri-peri chicken trumps the steak pie with floury gravy. There are other flavours too, from R20 to R30. Main Road, Diep River. 021-712-8555. Ou Meul Bakkery. Baked with flaky pastry to the famous Riviersonderend pie recipe, nine fillings change daily. ‘They taste good because they’re made with love,’ says chef Jaco Bothma. Sought-after beef bourguignon was sold out, but excellent, meaty pepper steak offered mild peppery bite. Plain chicken was better than the breyani-style chicken with coriander. Willowbridge Centre, Bellville. 021-914-0540. Pasticcio Gourmet Bakery. Pasticcio is an Italian description for a pie or pastry. Anthony Benvenuto started making curry-filled pies in the UK. Returned to do the same in South Africa, his wife suggested he move out of their kitchen. His local bakery shop opened this year, offering five curry pies (try the lamb and veg curry), using homemade shortcrust and his butcher neighbour Ryan Boon’s free-range, grassfed meats. Pork belly pies are made the English way with aspic. Biltong and mozzarella is unusual, while chicken, leek and bacon is a customer favourite. Benvenuto makes vegan and other pies to order too – a stout and steak pie using Darling craft beer is a special I’ve tried and really liked. Hefty standard pies cost R21 to R28, but there’s also mini (100g) R5, medium (170g) at R14. Old Rembrandt Mall, Central Paarl. 021-200-1807. The Foodbarn Deli. Offering great value at only R18.50, light, homemade puff pastry pies enclose meaty, moist yet not runny fillings. The chicken and mushroom could do with more seasoning, but spicy Moroccan lamb is a treat, as is Coq au vin with its strong wine flavour. Check the board – pork and red wine, pepper steak and vegetable pies are other possibilities here. Noordhoek Farm Village, Noordhoek. 021-789-1390. 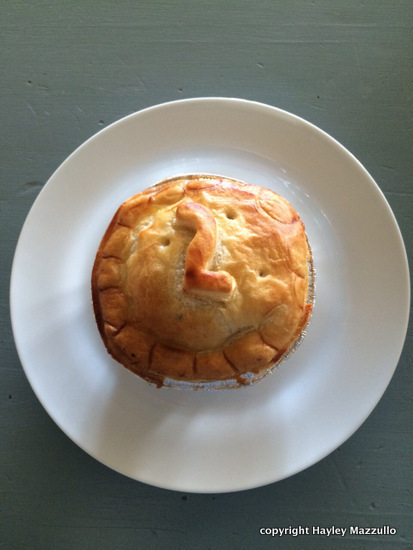 Late addition: Butcher Hennie also makes a take-home-to-bake venison pie at Cape Venison Butchery in Welgelegen. Two sizes on offer: a pie serving two (R50) or four (R90). The puff pastry isn’t homemade but Hennie cooks the gamey filling himself. Call ahead as the pies are usually available every Wednesday. 021-558-9005. A version of this appeared in The Times on 6 May 2015.